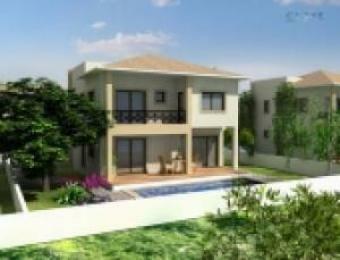 This new project is situated in the unique location of Kokkines, which is found on the outskirts of Ayia Napa, Famagusta. This area is blessed with peaceful and harmonious surroundings with spectacular views of the Mediterranean. This development will comprise of 7 spacious 3 and 4 bedroom villas, all built to the highest specification as befits this exclusive location. These villas will have their own large plots with private swimming pool and are just a 5-minute drive from the vast array of beautiful beaches of Ayia Napa with their aquamarine and crystal clear waters and the local town of Paralimni.